The new Gilpin Stadium will be located in Black Hawk, Colorado and will sit at 9,000 feet above sea level. Construction is scheduled to begin in April of 2018, and the hope is to have the facility ready for competition during the 2018 football season. When completed...Fighting Eagle Stadium will become the highest turf football venue in the nation. 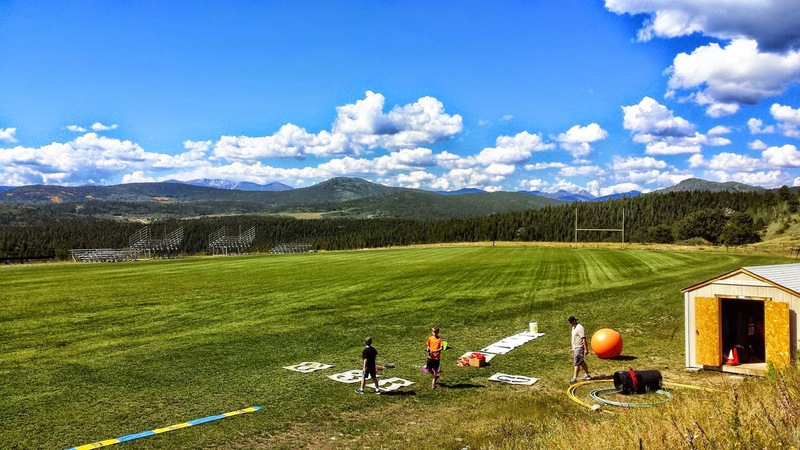 The Track will become a very desirable facility for the Gilpin Track Team due to the elevation and VO2 Max advantages that training at high elevations can produce. The stadium, perched on a mountain saddle at an elevation of nine thousand feet, is located in the middle of Gilpin County. The new facility overlooks four fourteen thousand foot peaks, (14ers - Greys, Torreys, Evans, and Bierstadt) with beautiful views of the Contintial Divide. Thanks to all at Gilpin County School, the community and boosters for putting in the work to make this magnificent facility a reality.